With quiet beaches and traditional Greek architecture, Evdilos is an unspoilt treasure. 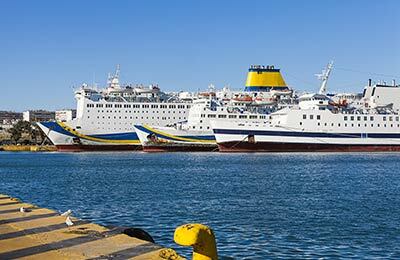 You can book ferries to Evdilos to Piraeus, Syros, Mykonos and Samos with AFerry. Evdilos is a quiet, traditional village in the central part of Ikaria, and island in the North Aegean. The port is small but picturesque, with narrow roads, paved steps and traditional Greek houses. Approximately 10 minutes East from Therma, along the coast, is a cove where hot mineral springs can be found in the sea. These can be accessed via a marked path. The best way to get around the island is by car or motorbike. 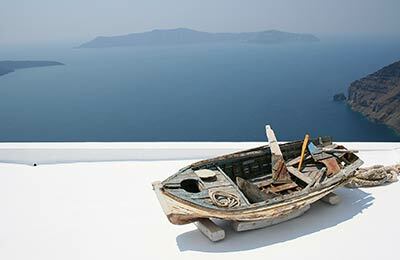 You can take your own using the ferry, or alternatively you can hire vehicles on the island, from Armenistis. Bus services are infrequent so if you want to explore the island, a car is needed. The beaches are unspoilt and quiet. There are no facilities but beautiful white sand and clear blue sea. The surrounding architecture is traditional making Evdilos a real uncovered treasure. You can book ferries to Evdilos with AFerry. Sail from Piraeus, Mykonos, Samos or Syros with Hellenic Seaways. Hellenic Seaways, offer a range of cabins, as well as the latest features such as restaurants, shops and sun-decks. Some ferries also have swimming pools which can be used in the summer months.